Lifting capacity (kg): 120 - 159. Seat Back Height (cm): 30 - 53. Seat Depth (cm): 35 - 50. Seat Height (cm): 33 - 54. Seat Width (cm): 35 - 56. 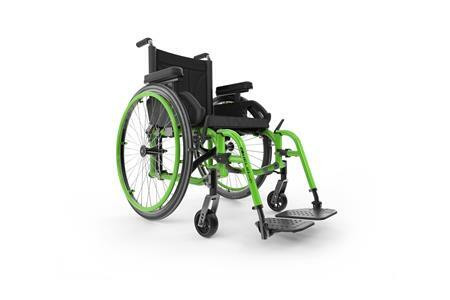 (Automatic translation) Super lightweight folding wheelchair in 7000 series. Closed frame, symmetrical cross-rail, integrated seat tubes. Different possibilities? configuration and regulation.